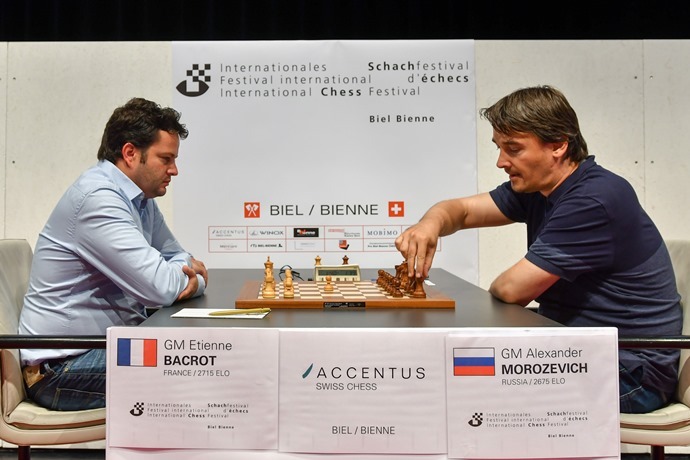 Etienne Bacrot went into the rest day as the sole leader in Biel after crushing wins over Alexander Morozevich and Noel Studer, though the latter game almost went awry in some time trouble mayhem. Hou Yifan is also flying, adding to her opening day win over Alexander Morozevich by picking up the scalp of David Navara in Round 5. The Czech no. 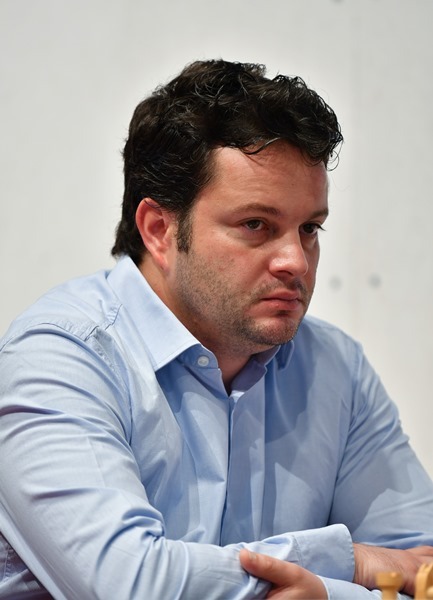 1 had previously beaten Peter Leko, but is struggling for consistency… except in the matter of appearing for post-game press conferences, whatever the result. 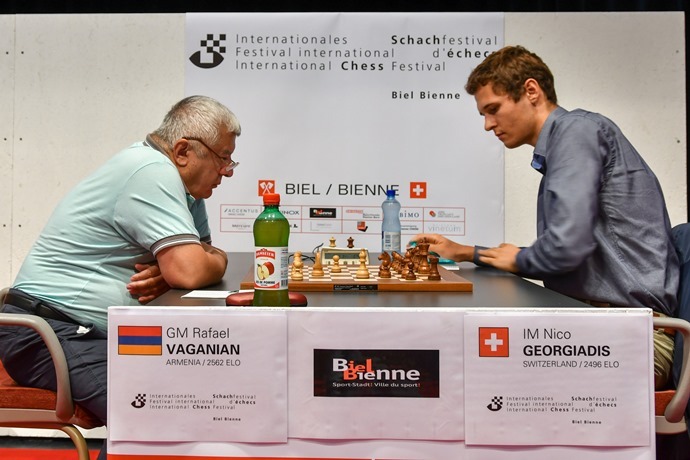 Only one game ended drawn in Round 4 – Ponomariov-Hou Yifan – though that could also easily have been decisive after Ruslan Ponomariov went for a risky attempt to mix things up. 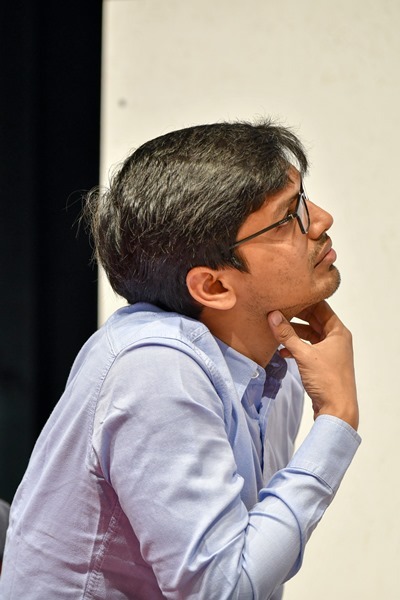 Elsewhere there were demolitions on all boards, with Harikrishna needing only 24 moves to overwhelm Switzerland’s Noel Struder after playing a familiar f5-pawn sac in the French. Bacrot pushed 16.f4! and 17.e5 and again it became a case of White dominating on the dark squares while Black’s pieces were helpless bystanders on the light squares. In fact for a number of moves Black was already only a sacrifice of his dark-squared bishop away from having all his piece on light squares, while Bacrot emphasised his utter control with 32.Qd6! The black pieces scuttled away until the d-pawn was able to make another stab at Black’s heart with 30.d6! White was soon able to sac a piece on f7 and catch Black in a mating net – a game well worth playing through! 28…e4! 29.Nxe4 Nxe4 30.Qxe4 Bxb2! and Black has not only regained the pawn but there’s no stopping the passed a-pawn. 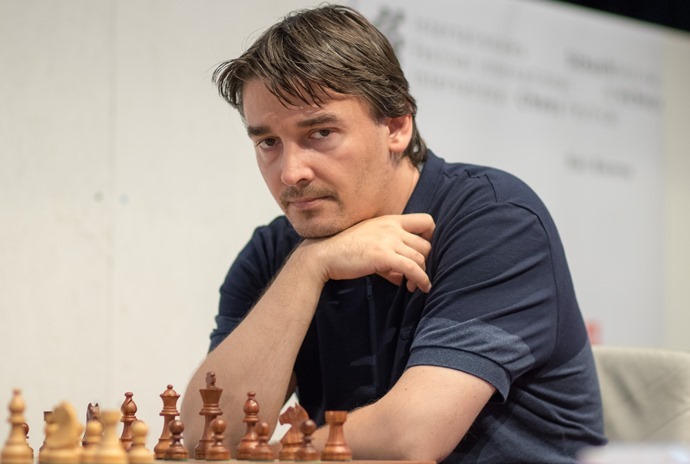 Here Vaganian thought Alexander Morozevich had played 16.Qxe2, not 16.Rxe2, and blitzed out 16…c4, only to realise that the queen was still on d1 and Morozevich could simply pick up a pawn with 17.Bxa4. The game wasn’t much of a contest after that. It looked like Studer-Bacrot would also be a massacre after Etienne exploded the position with 23…f5! Essentially it was, but things got messy, as Danny King explains! The day’s other win was for Women’s no. 1 Hou Yifan, who is quietly repairing the rating damage done by five losses in the Geneva Grand Prix. She beat Morozevich in Round 1, drew her next three games, and then won an almost Carlsen-esque game in Round 5 against David Navara. The Czech no. 1 played the Najdorf, but Hou Yifan was able to maintain control across the board until 29.Qd2 got out of a pin and asked a simple question: how are you planning to defend the a5-pawn? That was a puzzle with no solution, and after 29…Bxd4 30.Bxd4 Nd7 31.Qxa5 it was just a matter of time and technique. There are now four rounds to go, starting Sunday, and it’s not going to be easy for a Frenchman to win the event for the fifth year in a row (MVL did it the last four!) 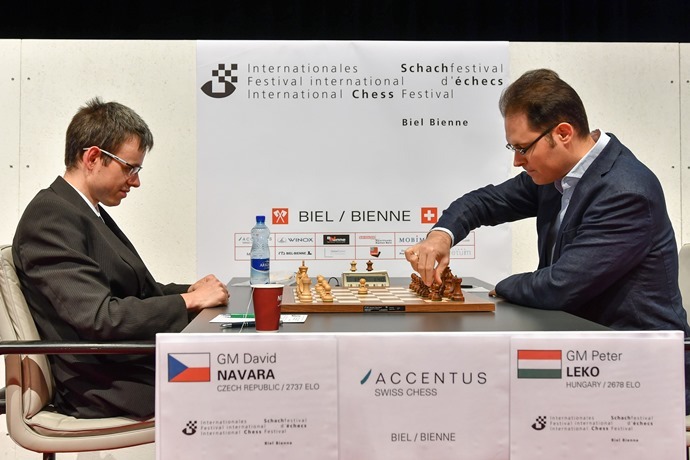 – after playing Peter Leko and Hou Yifan, Etienne’s last two games are against top seeds David Navara and Harikrishna.